“Protecting people’s information is at the heart of what we do, and we require the same from people who operate apps on Facebook,” a company executive said in a press release. President Donald Trump’s campaign used Cambridge Analytica during the 2016 election as part of its voter-outreach operation. The firm has been been scrutinised amid accusations of misuse and has since become a thread in the ongoing Russia investigation. Facebook announced on Friday that Cambridge Analytica, the data-analysis firm that played an important role in Donald Trump’s online strategy during the 2016 US election, has been suspended from the social-media platform for mishandling user data. “Given the public prominence of this organisation, we want to take a moment to explain how we came to this decision and why,” Facebook VP and deputy general counsel Paul Grewel said in a press release on Friday night. Grewal noted that another company, Strategic Communication Laboratories (SCL), was also suspended. By booting the companies from its platform “pending further information,” Facebook will no longer allow them to buy ads or manage their pages. 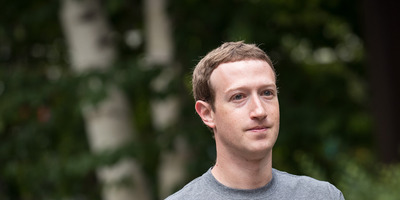 “Protecting people’s information is at the heart of what we do, and we require the same from people who operate apps on Facebook,”Grewel said, noting that Facebook had received recent reports of certain rules violations. According to Grewal’s statement, a University of Cambridge professor who had developed a personality prediction app for Facebook users called “thisisyourdigitallife” improperly passed user information to other parties, including Cambridge Analytica and SCL in 2015. Facebook allows some apps to get access to a user’s profile and important data that identifies the user’s preferences and interests. Facebook said the professor, Cambridge Analytica, and the other parties involved agreed to destroy all the data at the time. But, Grewel said on Friday, “several days ago, we received reports that, contrary to the certifications we were given, not all data was deleted. We are moving aggressively to determine the accuracy of these claims. Such information, if misused, can potentially help bad actors target Facebook users with ads and other information. This was apparently the case during the 2016 US presidential election. Trump’s campaign hired Cambridge Analytica in June that year to help target ads using voter data gathered from some 230 million adults. Several news outlets reported in 2016 that the Trump campaign paid Cambridge Analytica $US5 million for its services in September alone that year, a significant increase from the $US250,000 it paid one month earlier. The firm later came under scrutiny after a number of troubling discoveries, including that Cambridge Analytica’s CEO had reportedly reached out to WikiLeaks founder Julian Assange in an effort to find some of then-Democratic candidate Hillary Clinton’s deleted emails. The matter of those emails and an FBI investigation surrounding Clinton’s use of a private email server during her time as secretary of state had hamstrung the Clinton campaign, and was seen as one part of a broader effort by Russian operatives to influence the US election. It also raised questions about whether Trump associates had cooperated with Russia’s election-meddling activity, because Russian operatives capitalised on detailed user data to deliver targeted ads and content on Facebook and other social-media platforms. Worries about whether the Trump campaign colluded with the Kremlin arose in part because the content touted by Russian state actors was highly specific, and targeted to competitive US voter precincts – details that some experts have said would not have been familiar to a foreign entity. In an email to Business Insider, a Cambridge Analytica spokesperson said the company “fully complies with Facebook’s terms of service” and said it is working with Facebook to resolve the matter. “Cambridge Analytica fully complies with Facebook’s terms of service and is currently in touch with Facebook following its recent statement that it had suspended the company from its platform, in order to resolve this matter as quickly as possible. We are suspending Strategic Communication Laboratories (SCL), including their political data analytics firm, Cambridge Analytica, from Facebook. Given the public prominence of this organisation, we want to take a moment to explain how we came to this decision and why. We are committed to vigorously enforcing our policies to protect people’s information. We will take whatever steps are required to see that this happens. We will take legal action if necessary to hold them responsible and accountable for any unlawful behaviour.